When you're shopping for hardwood flooring you're most likely focused on wood type, grain and color. Those factors are certainly important when selecting the best hardwood floor for your home. The wood type in particular has a long-lasting impact simply because of its hardness factor. 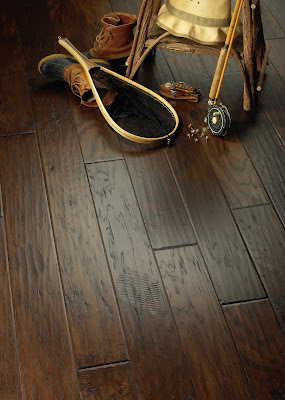 Another hardwood floor option that is sometimes overlooked by Indianapolis homeowners? Hardwood finish. The finish you choose for your hardwood floor has a big impact on how it looks and how well it stands up to everyday wear and tear. We've broken down the two most common finish options and their advantages. A surface finish is added to hardwood floors as a protective coating and the type of finish has an impact on its appearance and durability. Surface finishes are durable, water-resistant and make regular maintenance simple. 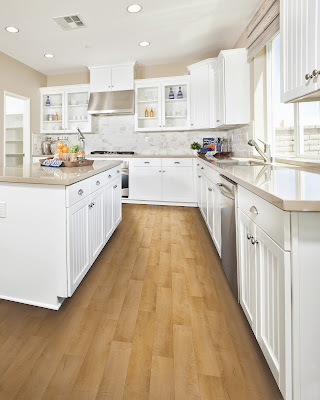 When choosing the type of finish for your wood floors consider your lifestyle and cleaning preferences. While many manufacturers prefinish their hardwood floors, you will sometimes still have a choice between oil-based and water-based finishes. What's the difference? The most common wood floor finish is polyurethane - technically polyurethane-modified oil. Water-based finishes are clear, very durable and will resist turning yellow over time. Which is better: a shiny or matte finish on hardwood? It really is a matter of preference. Satin gloss finishes offer the most shine and will reflect the most light. Semi-gloss finishes offer some shine and reflection. While satin or matte finishes are less reflective. Generally speaking, the less shine - the less you will notice wear and tear. Learn more about the types of hardwood floor available. Hardwood floors do require a type of care that is different from other floors. We've compiled some guidelines to help you keep your hardwood floors looking like new for years to come. Download our free hardwood care guide for simple hardwood maintenance tips.